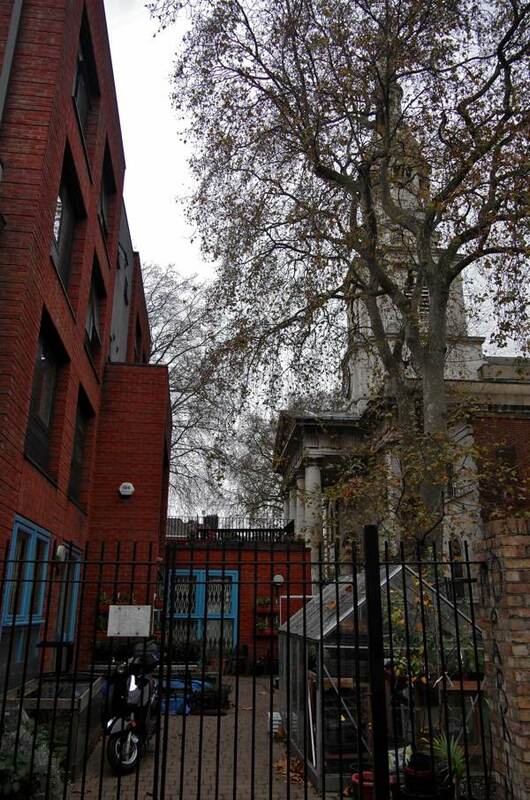 The name ‘Spitalfields’ refers to the Priory of St Mary Spital, situated on Bishopsgate where Spital Sq is today, that offered shelter to the dispossessed and homeless from 1197 until it was dissolved by Henry VIII in 1539. Yet the identity of Spitalfields as a place of refuge had been established and, to this day, this vital work goes on at the Spitalfields Crypt Trust. 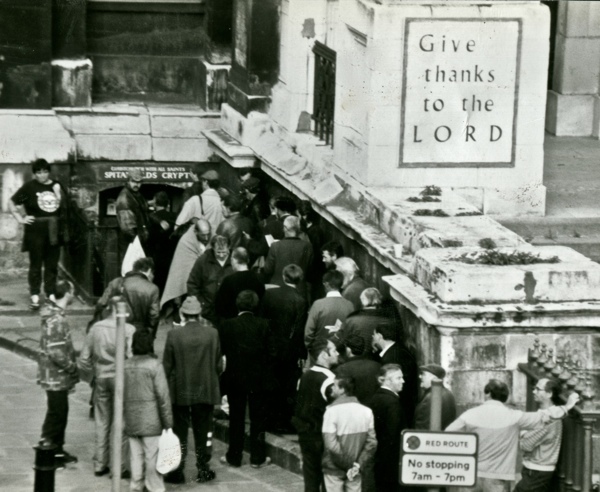 Originating as a shelter under the church, opened by Rector Dennis Downham in 1965, the endeavour acquired its own dedicated building in the corner of Shoreditch churchyard when Spitalfields was being renovated in the nineties . 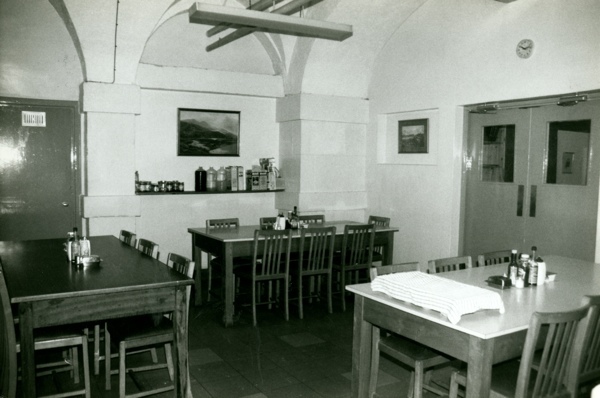 The common thread through recent decades has been the benign presence of Graham Marshall, a modest man who began as a volunteer in the seventies and discovered his life’s work in the crypt, serving those who walked through the door. The policy was never just to offer shelter but to assist in finding the path to recovery. When Graham started, half of the residents were Scottish and half Irish, and the prevailing affliction was alcohol dependency, whereas these days the racial mix is more diverse and drug use is the major problem. “It’s handholding all the way, because if you let go people will get lost,” Graham admitted to me, speaking from thirty years of experience, “It’s about getting them on to the next stage and sticking with them.”After thirty-seven years, Graham is now Director of the Trust, overseeing the running of the organisation yet still directly involved with everyone that comes through the door and aware of each individual’s needs and challenges. 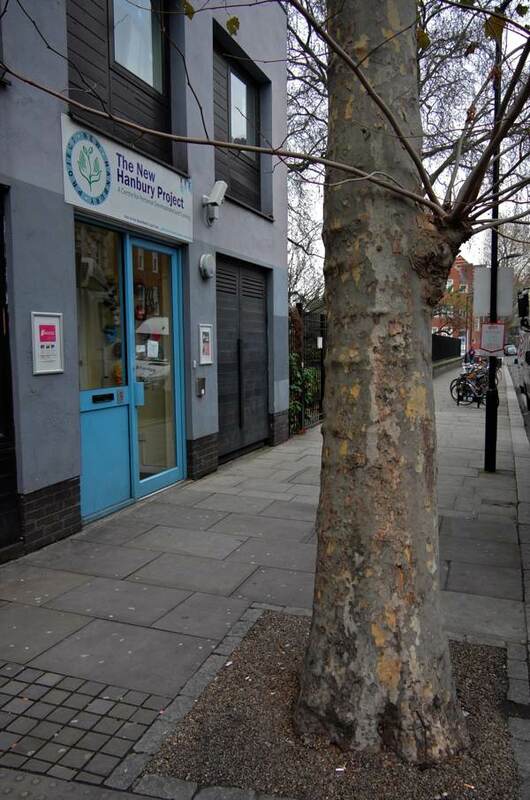 The Trust runs four open sessions each week, either at St Leonard’s Church or the Tabernacle Centre, at which anyone in need can come for food and tea. Acorn House, at the corner of Calvert Avenue and Shoreditch High St replaces the crypt, provides accommodation for sixteen residents for up to a year, while the New Hanbury Project on the ground floor of this building offers educational activities, from literacy courses to basic IT skills and woodwork. “It’s about ‘What am I going to with myself?’,” Graham said simply, ‘It’s a place where people can start to make progress.” Beyond this, there are three long-term hostels where people can stay for three to four years, as they learn to live independently, and the Trust runs Paper & Cup Coffee Shop in Calvert Avenue and another in Bow, where residents can learn the skills of working with people and gain experience that will give them a chance of finding a job. 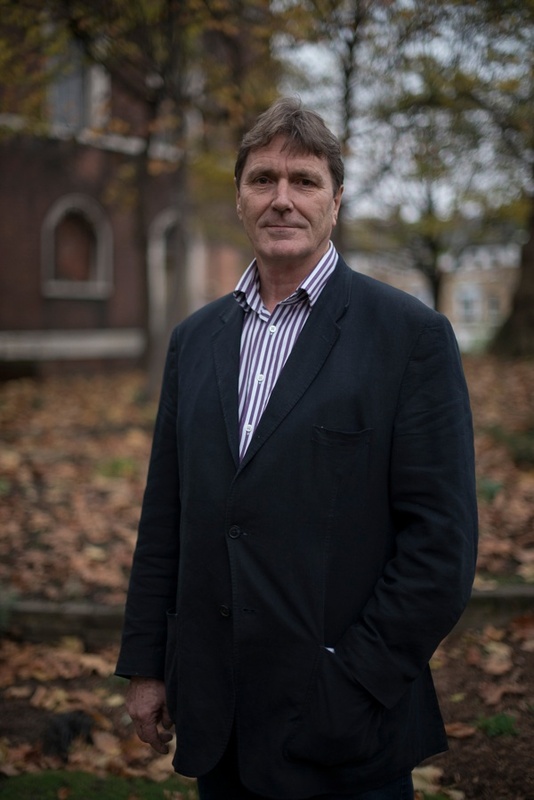 An individual of self-effacing temperament and single-minded determination, Graham has kept the Spitalfields Crypt Trust small with minimal bureaucracy, so that it can remain a flexible organisation focussed on its purpose, and financially independent, so that it can work in its own way without being subject to the whims of local authority funding. Above all, he has personally kept the project alive so that the quietly dignified work can continue, enabling hundreds of people to find a new existence away from the streets and free from the dependencies that blighted their lives. “I volunteered for a year at the Spitalfields crypt in 1977 and stayed ever since. My first job was working at the front desk, giving people their sandwiches and clothing. They came down into a place in the crypt where they could take a shower and we would change their clothes. I come from Folkestone. Like many young people, I experimented with drugs and got into trouble, and spent a few nights on the streets of London as a seventeen year old, but fortunately had a home to go back to. A couple of years later, I met a girl who was a Christian and I became a Christian, and then I went into rehab in Greenwich for a year. I did a lot of voluntary youth work and tried to get into YMCA college but failed, so then I went back to work in Spitalfields again as a volunteer. From the start, I worked on the front desk and I loved it. After a year, they asked if I could stay on permanently, but I said, ‘I need to find a way to make some money.’ They said, ‘We are going to advertise for someone to do your job.’ So I thought, ‘Oh wow, I’d love to do that!’ and I got the job and the rest is history. 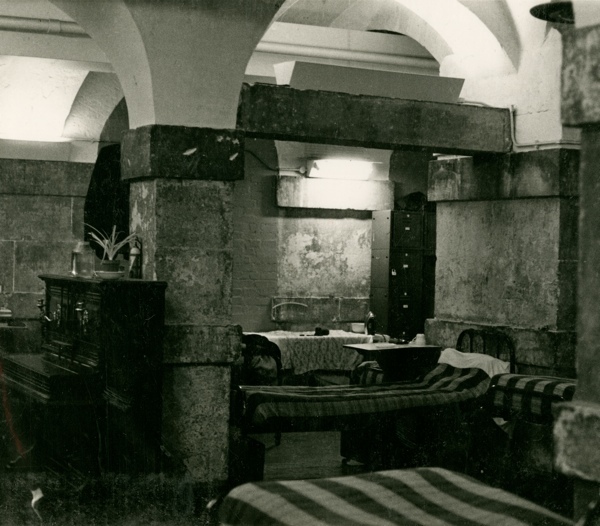 The work of the spitalfields crypt is really inspiring and wonderful, for 5 years, from 1989, we lived opposite at our home eleven and a half fournier street, which we took a year to restore from fire damaged wreck, the recurrent visitors were charming and humane. We enjoyed some of the characters and I think some enjoyed our young family presence too. In many ways I really miss this really warm human and charitable activity in the church. I am sure the new crypt space will be wonderful, but how many of us locally and of those formerly using the crypt will really benefit? People like Graham are the glue that holds society together. Wonderful. Humbling. Graham is an awesome, charismatic, downright incredible person. And an excellent leader too. This recognition is so richly deserved. I know him because Graham and the SCT have been instrumental in my recovery. The work they do is “priceless”. Great guy, great job, great work. Graham is SCT and SCT is Graham. Great piece. I first visited the crypt in 1996 when a friend was doing a voluntary placement there. 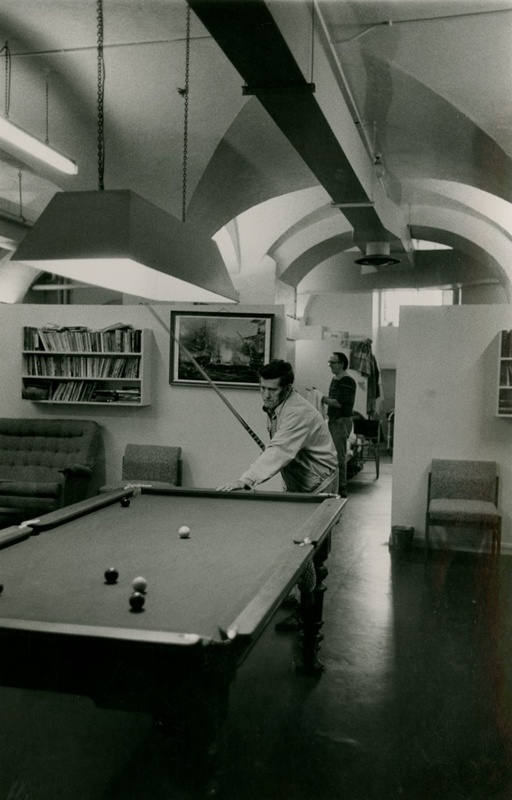 The pool table looks familiar and so does the dining area, but the communal dormitory space had been divided up with curtains to give the residents a little privacy. At that time, the Trust owned (or let?) a couple of flats across the road above the market (one at the corner of Brushfield Street and Commercial Street) and I stayed there a few times in ’96 and ’97. I wonder how much these flats sell for now? and my wife used to do the typing for Dennis Downham.